Gizmodo reports that an official Sega Genesis emulator is coming to the iPhone as a sort of virtual console and store. 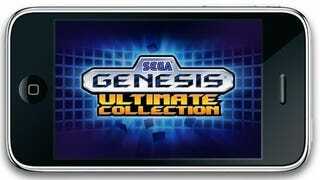 The Sega Genesis Ultimate Collection will be a free app that supports a store filled with emulations of classic Genesis titles. The app, said to hit the iPhone next month, will come with Space Harrier II and the ability to purchase four other games. This seems like a fantastic way to break free of the increasingly bloated App Store and have your own space in which to hawk and sell your games. I'd love to see more publishers doing this. Can you imagine a Capcom Arcade packed with retro emulations?